This is how you roar #LikeShrek - SHREK THE MUSICAL comes to Singapore! 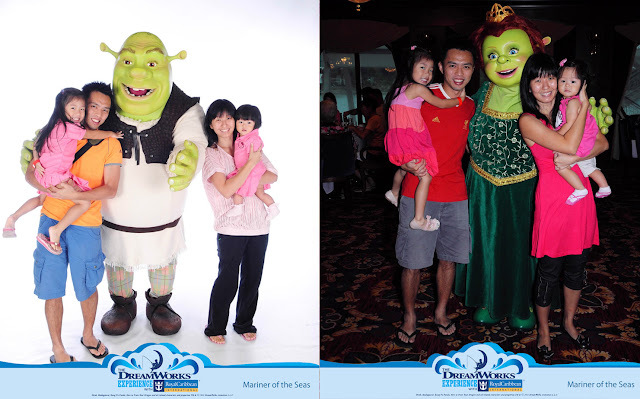 Our affinity with Shrek began in 2013 when we went on a family cruise on board Mariner of the Seas. At that time, the elder girl was four and the younger one just turned one. Even though they did not know who this ogre was, they were fascinated by him and insisted on taking pictures together. It did help that we went for a breakfast with the DreamWorks characters and Shrek danced to Gangnam Style right in front of us! Then came 2014 and we went on the same cruise again. Yeah, a little ho-hum when it comes to holiday planning, I know. By this time, they were both a year older and had watched the animation film a couple of times. 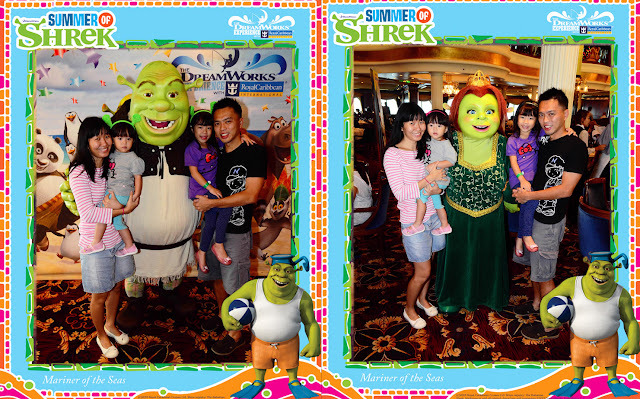 So, you bet they were thrilled to be able to come up close with Shrek and Fiona once more. Check this out, we even posed with them in their formal wear! Well, now that our family is better acquainted with Shrek, Fiona and Donkey, we are looking forward to seeing them live on stage! Yes, for those who don't know yet, SHREK THE MUSICAL is coming to Singapore this June! I'm earnestly hoping it will be a great way for us to spend an evening together during the school holidays. Based on the Oscar-winning DreamWorks animation film, SHREK THE MUSICAL comes to Singapore for the very first time as part of its first ever international tour! As described by USA Today, this “BIG FAT HIT!” will be playing at the MasterCard Theatres, Marina Bay Sands from 8 June 2016. In a far away kingdom turned upside down, things get ugly when an ogre – not a handsome prince – shows up to rescue a feisty princess. Throw in a donkey that does not keep quiet, a villain with a short temper, a cookie with an attitude and over a dozen other fairy tale misfits, and you’ve got the kind of mess that calls for a real hero. Luckily, there’s one on hand and his name is Shrek. This live adaptation of the popular animation film Shrek brings the hilarious story of everyone’s favourite ogre to the stage. You know what I like best about Shrek? 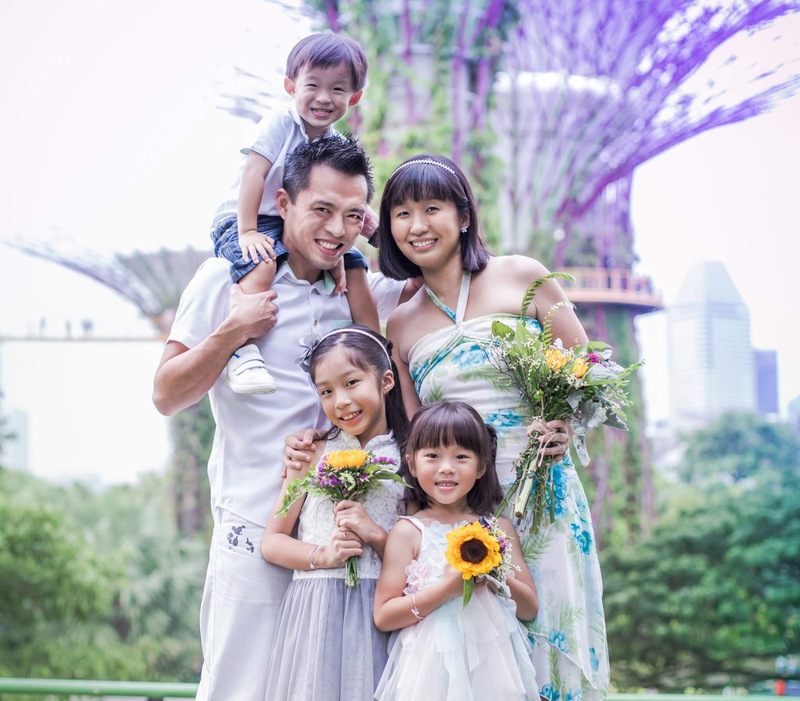 Although it's a fairytale, it's not your typical fairytale per se. The prince is not a handsome young man riding on a white horse; the princess is not a beautiful, long-haired princess with porcelain skin. And the donkey? He's just out of this world. So, to me, I think it's a refreshing change for the girls and it's an exciting, unique and witty story we can all look forward to. Have you heard Shrek's roar before? Well, you probably have but in case you've forgotten, here's how it sounds like! (watch it here) Kinda infectious and a good way to let it all out, don't you think so? Doing the Shrek roar can now be fun and rewarding at the same time! From 18 April to 16 May, as part of the #LikeShrek campaign, you can submit a video or photo of yourself or your children doing a roar #LikeShrek. All you have to do is to upload your video or photo to the contest page HERE. Once the entry is approved, you will receive a dedicated booking link with which you will get a FREE child ticket with every Shrek the Musical adult ticket purchased on MBS Ticketing. Not sure how to do the roar? Well, we'll show you. That wasn't too bad, right? The girls definitely had fun dressing up in green, pretending to be mini ogres and roaring on the streets #LikeShrek. For now, we're counting down to the day that we get to watch the musical! Rooaarrrrrr! In person at: Marina Bay Sands Box Offices (Museum, Theatres, SkyPark, Retail Mall and Hotel Tower 1 Lobby). For more information, visit www.MarinaBaySands.com/ticketing. 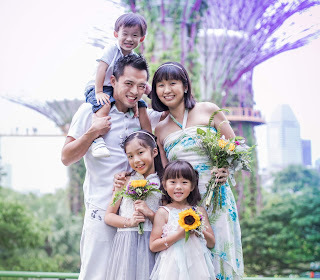 Disclosure: We received a media invite to SHREK THE MUSICAL and received complimentary tickets from BASE Entertainment Asia in writing this post. All opinions are our own.